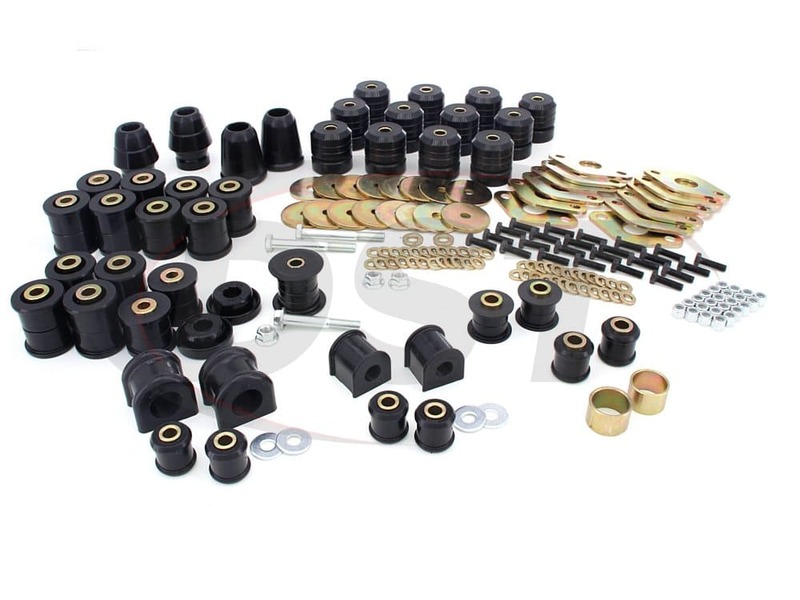 This is Energy Suspension's Master Bushing Kit part number 2.18108 for the Jeep Wrangler JK 4 Door. When you bought your JK, you had probably had dreams of conquering the outdoors just like any good Wrangler owner. But now, that dream has slowly become a nightmare. The assortment of clunking, banging and sloppy handling your JK is experiencing is enough to drive someone mad. Energy Suspension's hyper-flex performance polyurethane are a far more better material than rubber for suspension bushings. 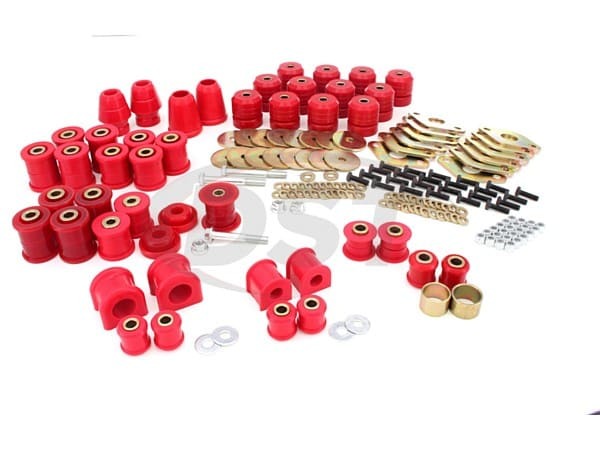 Not only will these bushing handle the outdoors, but they will also stop that annoying clunking while giving you the ability to master the outdoors with your new Wrangler polyurethane bushing set up.